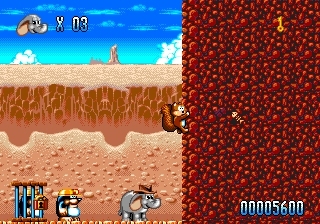 ‘Rolo to the Rescue’ is a 16bit game that may seem charming, but may actually be the most aggravating game ever to grace the Mega Drive. You shouldn't judge a book, or a game, by its cover. This is advice that a three year old will not take; especially when the cover shows a cartoon elephant and each night she cuddles up to an animal called Toot Toot. For a few frustrating weeks my daughter would head into my games room and pull all the Mega Drive games off the shelf till she found 'Rolo to the Rescue'. She would then stare at the cover and the elephant it depicted, desperately asking me if she could play it, or at least watch me play it. I felt like a terrible Dad when I said no, as despite appearances, 'Rolo to the Rescue' is not a game a three year old should play. In fact, it's not a game for anyone who doesn't have an entire afternoon and patience to spare. For a long time, the American Academy of Paediatrics (AAP) recommended that a three year shouldn't watch TV for more than 1 to 2 hours per day. Put simply this isn't enough time to finish 'Rolo to the Rescue’; even an adult would struggle to finish a fraction of the game’s 70 levels in this amount of time. It's a platform game comparable in length to 'Super MarioWorld'. However while it has copied the world map that Mario treks around, unlike Nintendo's masterpiece 'Rolo to the Rescue’ doesn’t include a battery backup. It's doesn't even include a password system. For my three year old to finish the game she's drawn to, she will have to set clutching a controller for a very long time. Admittedly the AAP softened their stance in October 2015. Now, it encourages parents to keep screen time to a minimum, choose quality content, that focus on interaction, learning and strong positive morals. Under these newer guidelines the start of 'Rolo to the Rescue' doesn't seem too bad a choice. After-all the game certainly tells a story that is filled with strong moral decisions and actions. The game shows a cruel circus ringmaster who has locked a number of cute animals in tiny cages with the intention of using them in his shows. However, he missed one animal; Rolo. So, as the game's titles suggest, this little elephant must come to the rescue and save every single one of his animal friends. To do this he must defeat enemies, collect keys, and enlisting the help of previously freed animals to progress through all of the stages. Game play in 'Rolo to the rescue' is similar to 'The Lost Vikings', although without the depth and variety. You start each level controlling only Rolo. Like the majority of platforming protagonists he can jump on most enemies and pick up items that grant various additional attacks such as firing water from his trunk. In each level the player must find enemies known as McSmileys as these carry the cage keys. Trapped in each cage is an animal; a rabbit, squirrel, mole or beaver. After their rescue, they will follow Rolo. 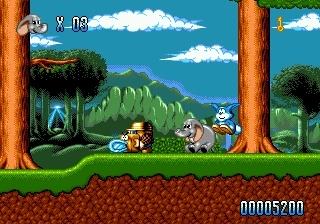 Now the player is able to switch between these additional playable characters whenever the game demands it and each one has a special talent that helps Rolo to reach places he could not go alone. True to their real life counterparts the rabbit can jump extraordinarily high, the squirrel can climb walls, the mole can dig tunnels, and the beaver can swim across large bodies of water. Each level therefore acts as a puzzle where the player has to decide which order to rescue Rolo's friends to complete the level. For example if you are obstructed by water you'll have to free beaver first. He can then swim across the lake and find a boat that can be used to help Rolo across. Things get complicated further as only three of the four buddies can follow Rolo at a time. Finding a fourth means one of the others will have to leave the party. Frustratingly later levels are plagued by trial and error however. You'll frequently sacrifice a character randomly only to discover you need them to reach the end of the stage. Having to restart a stage initially doesn't seem too big of an inconvenience however as the game progresses the levels become longer. That being said the puzzles become almost nonexistent half way through the game almost as if Steve Bak the level designer ran out of enthusiasm for this excessively long game. The caged animals become arbitrary items you have to unlock and the majority of the time you'll be playing as the titular elephant. There's great emphasis put on finding every caged animal and it’s the only way to avoid an ending that'll likely break the hearts of any child playing. 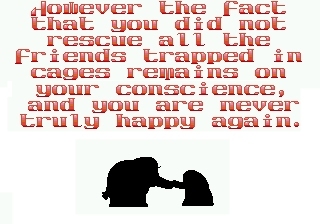 While it shows Rolo reunited with his mother the player is literally told that their inability to rescue all his friends will mean they'll "never be truly happy again". To see the good ending finding all of Rolo's level buddies isn't enough since there’s also hidden stages to discover. Many of these extra levels can only be accessed by backtracking through areas that you presumed to be finished. There is no way of knowing where to look to find them either. An entrance to one could be behind a solid wall that you can inexplicable walk through or down the one hole that doesn't instantly kill you. However even complete level discovery isn't enough to get the 100% completion; you'll also have to find all the caged animals within them. Some hidden stages can only be entered once so any careless mistakes could potential close the door to a happy ending indefinitely. While I'm not a betting man, I'm willing to wager that without a guide no young player has ever found every caged animal in every hidden stage on their first go. Especially considering that the entire game has to be completed in one sitting. You'll likely turn the game off before seeing any ending though, as terrible controls make 'Rolo to the Rescue' infuriating to play. 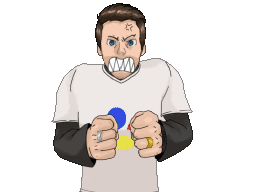 To be enjoyable a platform game has to have the on screen avatar respond at the precise moment that the player demands. This is especially true when levels consist of multiple jumps across platforms no larger than the character, where momentum and timing are key to success. While it may be technically accurate for an elephant to take a while to leap off the ground such lag in a platform game is catastrophic. It's so bad in 'Rolo to the Rescue' that you soon start to press the jump button a fraction of a second before you actually want Rolo to leap, simply because not doing this leads to a lot of death on instant kill spikes. But this isn't the only control issue. Every platform is slippery so you'll also find yourself pressing a direction counter to the way you're heading to desperately try to stop you character from falling. That's presuming you land on the target at all. Only half of Rolo's sprite interacts with the environment, so if only his front feet are on a platform you'll simply fall through it. Similarly jumping on enemies is only successful if the back feet connect with the foe. This literally makes the boss battles twice as hard. Despite being a hardy elephant, unless Rolo has a friend with him he can only withstand one hit. This is particularly unfair in levels where enemies swarm around you the second you enter the stage. You'll frequently die through no fault of your own as there's nowhere safe on screen to flee to. But the biggest threat to the player is water as it kills everyone except the beaver instantly. It doesn't take a genius to realise that half a dozen jumps onto platforms the width of a character that you have to fully land on despite the avatar not immediately responding to inputs is not fun, but it's made instantly worse when a single mistake plunges you into the water below. If this is really intended to be a family focused game, it surely must be least forgiving one ever conceived. 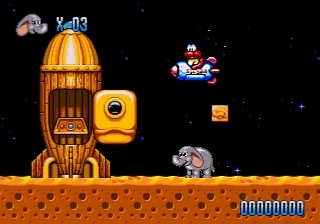 Along with fighting end of stage bosses (which seems to be a required part of any 16 bit platformer) Rolo also ventures into space for a bonus stage, another generic staple. However what the player is actually participating in is a piece of digital advertising. In it you briefly see James Pond piloting a space craft dropping extra lives for Rolo. The environment, while at odds with the rest of 'Rolo to the Rescue', actually makes sense when you know that it has been lifted from ‘James Pond 3', a game that is also set in space. It hardly seems a coincidence that this third game was due to be sold the year after 'Rolo to the Rescue' was released. Even without the inclusion of the main protagonist it is hard to hide the fact that 'Rolo to the Rescue' and the 'James Pond' games share some DNA. Steve Bak one of the designers of 'Rolo to the Rescue' co-created James Pond with Chris Sorrel. While Sorrel didn't contribute to the game his legacy remains as the characters retain his visual hallmarks. The adorable Rolo sprite that so charmed my daughter was the handiwork of Leavon Archer and Sean Nicholls. Both these digital artists worked on 'James Pond: RoboCod' and 'James Pond's Aquatic Games'. 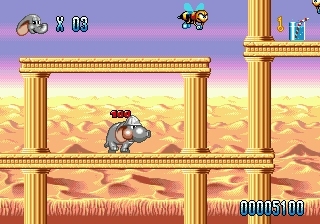 'Rolo to the Rescue' was Vectordean’s first game to be created primarily for the Mega Drive with their earlier games all ports of home computer titles. There are some lovely quirky touches too. Rolo for no obvious reason has a penchant for wearing hats themed to the world he is in. So when in the desert he'll have an explorer’s helmet and in frontier land he'll wear a cowboy hat. He also has a huge number of idle animations and a wonderful run animation- not the easiest of things for a four legged animal. There are various stage quirks that seem to just be there for amusement, for example Rolo shrinks after climbing in a washing machine. Indeed the levels themselves look great with dozens of layers of parallax scrolling. Sadly the camera is a touch sluggish with a tendency to rise up excessively whenever the player jumps. This frequently means the place you wish Rolo to land is off screen. Not being able to see where you are trying to land adds one more irritant to the terrible jumping mechanics. While there's not nearly enough of it, the bouncy tunes that accompany the game play are perfectly pitched for a children's game. Charming and catchy it's amazing it was the second and last game to be composed by Philip Bak, brother of game designer Steve. They aren't however tied to worlds and seemingly play randomly for each stage. While this means you'll get to hear all the games music early on, it naturally also means after an hour you've heard all there is. It's not often you wish for less from a game, but that's sums up my feelings for 'Rolo to the Rescue'. Despite the awful controls it’s easy to see why critics liked the premise of the game. MegaTech awarded the game 89%, and Mega magazine claimed there were only thirty better games on the Mega Drive. In fact the magazine thought 'Rolo to the Rescue' was superior to 'Sonic the Hedgehog 2', 'Tiny Toon Adventures' and ‘Rainbow Islands'. It's a platform game that, on paper at least, is intelligent. It mixes the traditional running and jumping with a great premise and wraps it all in wonderfully charming visuals. The problem for me is that all the goodness is spread far too thinly. Levels become monotonous as the developer’s ideas run out. While the 70 levels may be described as a "jumbo adventure" by the box, in reality it becomes dull and a huge trudge by the end. The big, colourful characters may have drawn my three-year-old's eye but that doesn't mean this is a childish game, especially since it takes an adult’s patience and pure determination to reach the happy ending. So if you do have a young child keen to play 'Rolo to the Rescue' the first thing you should do is press reset while holding Up/Left, A and C on the title screen. This activates a cheat menu that offers invulnerable, infinite lives and an entirely unlocked map. You can't skip straight to the end level and get the happy ending but that's always watchable on YouTube. Of course a far easier solution is to move your game boxes out of the reach of tiny hands but that's no way to cultivate a miniature retro gamer. While I grew up playing the ‘James Pond’ games, I’d never heard of ‘Rolo to the Rescue’ until it was included in a bundle of games I bought on a local FaceBook selling page.